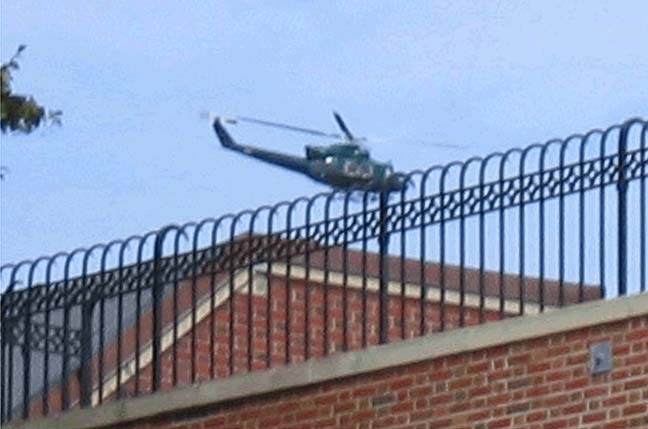 A response to Laura Miller’s black helicopter theory concerning the National Book Awards. Miller writes that the press “expresses bafflement” when some obscure writer wins, but fails to cite any examples. Sure, there was some minor controversy one year over the five fiction finalists all being women from New York. But that was seven years ago. Last year, Jaimy Gordon certainly surprised the audience by winning the National Book Award over such literary bigwigs as Peter Carey and Nicole Krauss. But what specifically is Miller referring to? The New York Times merely reported it as “a surprise pick,” which was accurate reporting. Much as Maureen Dowd once got a ridiculous column out of some mythical meeting between two senators, Miller seems to be implying some similar clink of glasses between NBA judges and the press. But as someone who has covered the National Book Awards multiple times, and who hasn’t been able to get anything from the judges (despite a combination of charm and silly questions), I can confidently report that Miller doesn’t know what she’s talking about. In our first conference call, we began to try to define what we were looking for. A “national” book? A work of fiction that spoke to the “American” character? Judge No. 1 wanted “readability,” and No. 5 wanted “a sense of discovery.” I just wanted writing that would set my hair on fire. We see with Wiggins a variety of motivations. But neither “readability” nor “a sense of discovery” fits into the hypothetical sidelining of successful titles.